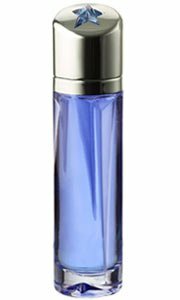 Angel Innocent was created by Thierry Mugler in 1999 and is recommended for daytime wear. This feminine scent possesses a blend of pure mandarin, honey, fresh almond and other exotic fruits. Accompanied by rich musk and amber. Launched by the design house of Thierry Mugler in 1999, ANGEL INNOCENT is a women's fragrance that possesses a blend of pure mandarin, honey, fresh almond and other exotic fruits, accompanied by rich musk and amber. It is recommended for daytime wear. ANGEL INNOCENT by Thierry Mugler for Women EAU DE PARFUM SPRAY .8 OZ & EAU DE PARFUM .17 OZ MINI pure mandarin, honey, fresh almond and other exotic fruits, accompanied by rich musk and amber.